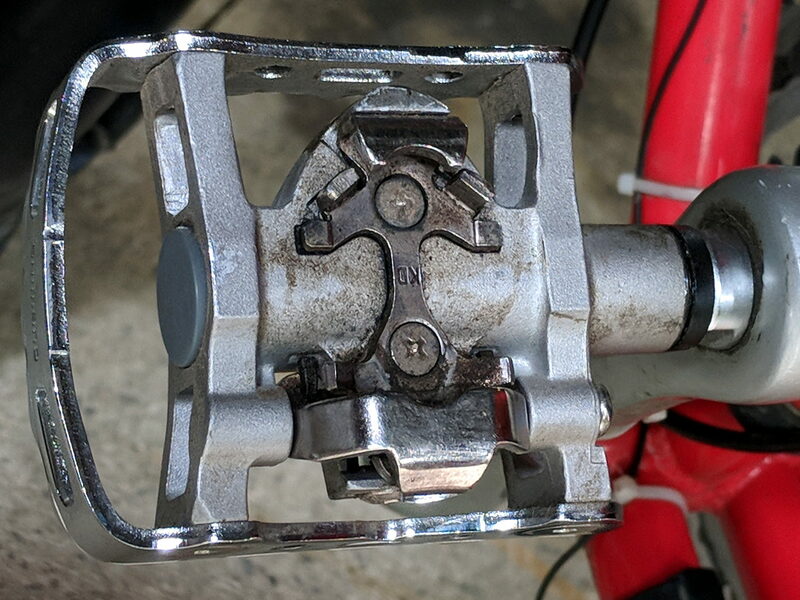 Long ago, I put Shimano PD-M324 pedals on Mary’s Tour Easy, because she prefers a pedal with a platform on one side and SPD cleats on the other. Those are newish-old-stock from the Big Box o’ Bike Parts, as she’s worn out the previous pedals. But the soles jammed against the frame on the PD-M324 pedals. 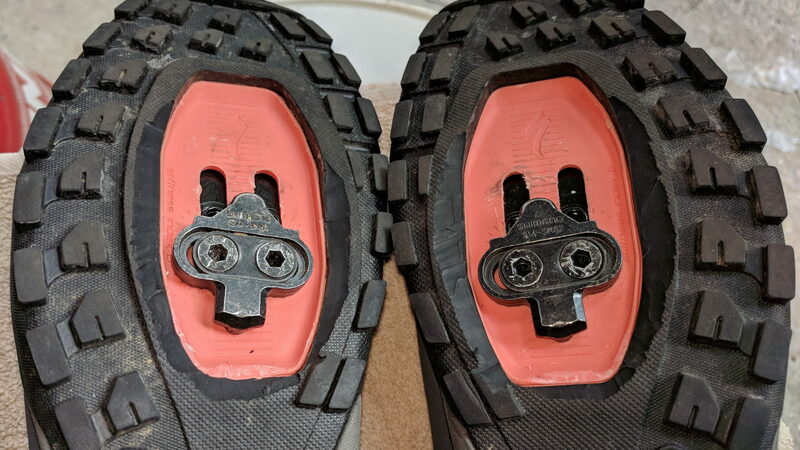 So I carved away enough rubber around the cleat sockets for clearance to float properly with the cleats latched. A bit of trial-and-error, probably with a bit more to come after on-the-road experience, but definitely a step in the right direction. Protip: always always always arrange the workpiece so the blade trajectory cannot intersect any part of your body, no matter what slips occur. 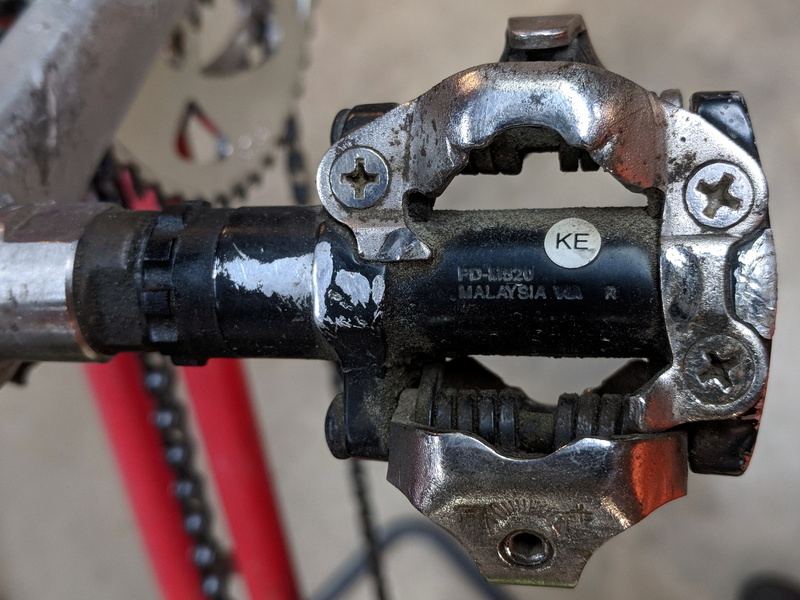 This entry was posted on 2018-08-06, 07:19 and is filed under Machine Shop, Recumbent Bicycling. You can follow any responses to this entry through RSS 2.0. Both comments and pings are currently closed.